A Gran Fondo is a cycling challenge that takes bicycle racing to the next level. Part personal challenge, part serious competition, the Gran Fondo National Series courses lead riders through country roads with challenging climbs and incredible scenery. Each rider is assigned an electronic timing-chip to keep track of their progress throughout the course and to allow riders to compete for best time through highlighted sections of the course. At the finish a hot meal and beverage awaits you, as well as finisher medals for the gran route finishers. Whether riding for a cause, a personal goal, or for competition, the Gran Fondo National Series courses are some of the most beautiful courses in the North America. Traffic control for the first 11 miles (after the control section, all riders must obey the rules of the road). Timed sections, including start and finish times. For the competitive race portion, this is not a typical start to finish race format, the competition is also about the timed sections. The time you take to complete each section is recorded via electronic timing chip, the times for each of the sections is then added together to give an overall/cumulative time. Your overall/cumulative time is compared to others to determine your overall and age-group placement. There are also primes for time sections, sections 1 and 3 are for the fastest female time and sections 2 and 4 are for fasted male; fastest section times win a Prime. To be eligible for competition, and to receive your time splits, you must enter and exit timed sections during the posted times. All timed sections are open for specific durations; you must enter and exit each timed section during the specified scheduled time each section is open. Riders may use any standard bicycle that has two wheels no motor and is not considered a recumbent. Standard road bikes, TT bikes, and mountain bikes are allowed. Why is it a national series / national championship? 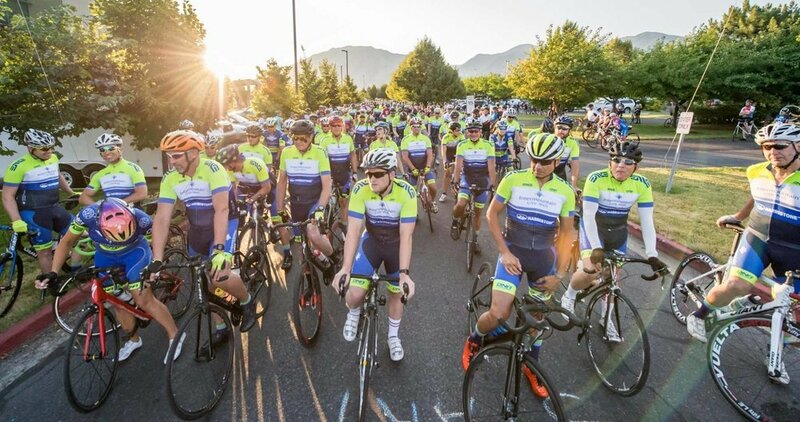 Riders have the opportunity to compete to be the best gran fondo rider in the nation, through collective placement across the series of events, as well as the one-day nation championship event. It is an opportunity for the strongest riders to come together and test themselves against each other. Riders can choose to participate in one event or several events and all events are open to all riders. There are several categories. The overall winners are those who finish first regardless of categories (first as in best time section times, not first one back to the stat finish area. For example a rider who is in the 35-44 Category and has the fastest combined times of the day will win the overall as well as 1st place for 35-44 Category (this rider would be awarded a prize for the overall best time, and also get a 1st pace award for age category). For the Gran Fondo National Championship, the fastest time of the day for riders in their respective categories will be crowned the Gran Fondo National Champion and will earn a Gran Fondo National Champion title and jersey. Similar for the Series, the riders in each age-gender category will win a Gran Fondo National Series title and jersey. Your racing age is the age you will be on December 31st of the current year we are in. (example: If you race on Sept 22nd and are 44 years old on the day of the race, and your birthday is Nov 3rd, your racing age would be 45). Categories below, and a get a sneak peak at our 1st place jersey compliments of HyperThreads of Utah. (All 1st place riders receive a custom-designed jersey in their size).